Another favorite excursion site we are fortunate to have nearby, is the Arthur R. Marshall Loxahatchee National Wildlife Refuge. The Refuge is the last northernmost portion of the Everglades, and contains more than 221 square miles of Everglades habitat. It provides sanctuary for the American alligator and the critically endangered Everglades snail kite, as well as migratory waterfowl, migratory passerines, wood storks, great blue herons, anhingas, white ibis, little blue herons, tricolored herons, black-crowned night herons, great egrets, cattle egrets, snowy egrets, and many other birds. Additionally, more than 250 species of birds use the Refuge’s wetland habitat. Myriad indigenous species of plant and insect life also make their homes in the Refuge. We’ve also had the great fortune of seeing great horned owls (a mating pair often visit the boardwalk and the Marsh Trail), screech owls, red-shouldered hawks, a very shy bobcat, and otters. 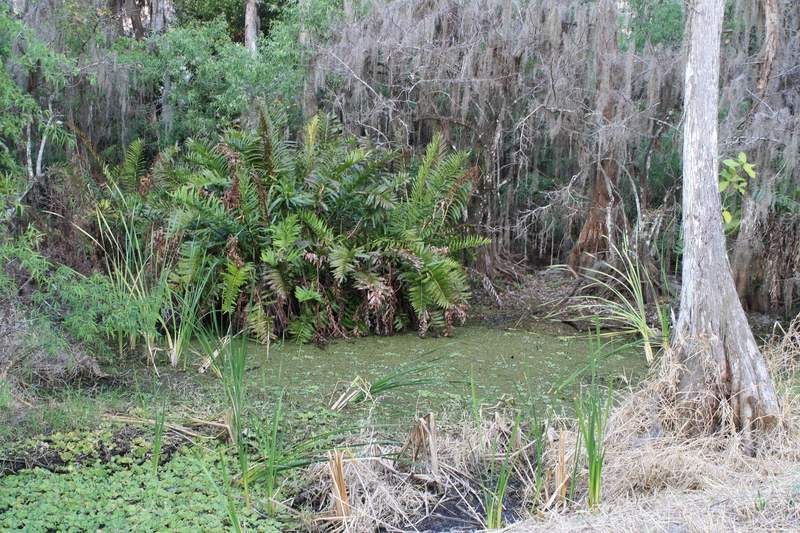 The swamplands within the Cypress Swamp Boardwalk represent one of the few remaining cypress habitats lining the Everglades. While the original trees were sadly lumbered in the ’20s and ’30s (like most cypress in South Florida), this second-growth remains protected and is truly a magnificent sight. Also included are 5.5 miles of canoe trails, providing an ideal vision of the Everglades.